Jennifer Killea is a new member to our Board and resides in New Providence with her husband Brian and two young children. Her son, Bowen will be entering the third grade at Alan Roberts this fall and her daughter, Evelyn is in nursery school. 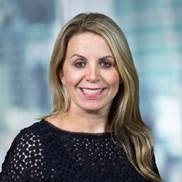 Jennifer is a Managing Director at JPMorgan Asset Management, where she is a senior relationship manager for the Global Strategic Relationships team. In this role, she works with various teams within the organization to deliver investment capabilities and thought leadership to clients. Jennifer earned a B.S. in finance from Marist College and an M.B.A., with a dual concentration in finance and marketing, at Fordham University.